I first become involved with Social Media in 2008 at the urging of my best friend that I had to try Facebook. Well like with everything else in my life, people encourage me to try something or watch this show, then I become obsessed with it – and social media was no exception. I started with Facebook and became immediately obsessed with it, then I added Twitter, which I liked even more. 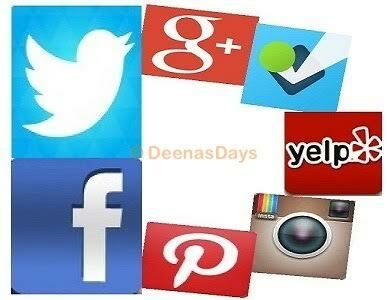 Then gradually I added instagram, pinterest, google+ and foursquare. I adore Social Media. It is perfect for the narcissist in me. I get to tweet/post every thought I am having while I am having it, as well as share what I’m doing while I’m doing it with photos and videos. Social Media, particularly Facebook, is a great medium to reconnect with old friends who you haven’t even thought about in years. It sort of made our High School Reunion obsolete because we had all already caught up on Facebook. Social Media, particularly Twitter, is also a great place to connect with celebrities such as actors and athletes, as well as your favorite sports team. For example, the Memphis Grizzlies follow me on Twitter and Shannon Sharpe (Hall of Fame Tight End from my favorite Denver Broncos and Maura West (actress from my favorite As the World Turns and now General Hospital) respond back to my tweets – just to name a few. Social Media is also a great place to showcase your work, whatever that may be. For instance, I wrote a book about all my U2 travels (On the Road with U2: my musical journey) and have so far only used social media to market it – and it is actually selling. I have turned my passion for Social Media into my career. I have always wanted to find something I love to do and then figure out how to make money doing it. (Doesn’t everyone want that?) After tripling my Twitter followers after blogging everyday on my three month road trip on the U2 360 tour in 2011, the following year I got a job as Social Media Manager for an apartment management company. Three years later I am branching out on my own as a Freelance Social Media Manager to several companies. So if you know anyone or any company who needs a passionate Social Media Manager, please send them my way – to DeenasDays Social Media. Cool article and I have to say I agree! Social media is the best!